We all know finding a Great Mortgage can be stressful and time-consuming. To pick the perfect mortgage for your needs, you need expert advice. This is why you need the help of Tony Hundal of Axis Mortgage Corporation - The Mortgage Centre. 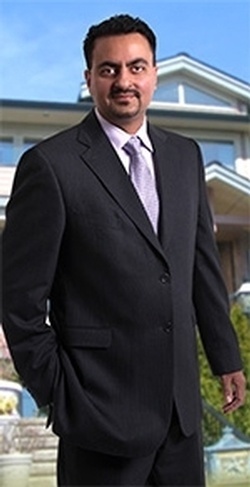 With over 25 years of banking experience with various Canadian banking institutions, Tony’s well known in the local banking industry and his experience ranges from management to lending and over 15 years focused exclusively on mortgages. Within the past 7 years, Tony decided more mortgage lending flexibility was needed and he made the shift from a banking institution to becoming a mortgage broker with Axis Mortgage Corporation - The Mortgage Centre. “I appreciate all my previous experience; however, I no longer wanted to be tied down to one exclusive product line – I wanted to give clients more options. I believe with my many years of experience coupled with the flexibility offered by Axis Mortgage Corporation - The Mortgage Centre, clients attain the best solutions, the best rates possible, and are provided the ability to negotiate with multiple lenders at any given time.” What’s more, Tony’s added advantage of knowing the in’s and out’s of banking mortgage systems enables him to have an added advantage of what is required when presenting a proposal for financing to lenders. By simply talking with Tony he can help you understand your mortgage needs and help you to explore both traditional and innovative mortgage options. “Sometimes just reviewing your options with a mortgage professional can really help, I am here to help all new and previous clients, I welcome their calls.” Can call Tony on cell phone 7 days a week at (604) 897-4068. Axis Mortgage Corp provides a wide range of Private, Commercial, Residential Mortgage Services to clients across Surrey, Delta, Richmond, Burnaby, White Rock, Abbotsford, Chilliwack, Langley, Vancouver.